Joshua Gene Clifton, the driver in the October 16, 2009 hit-and-run on East 30th Ave near Onyx St, was found guilty last Thursday of all charges stemming from the incident. Clifton was drunk and racing another driver down the 30th Ave. hill towards Hilyard at 11:45 pm when he lost control, crossed at least three lanes of traffic, drove up onto the sidewalk, and struck 26-year-old Hart Godbold as he was bicycling up the hill. Clifton continued driving and later reported his car stolen. EUGENE, Ore. — Police believe two drivers were racing down 30th Avenue Friday night when one of the drivers lost control just east of Onyx Street and hit a bicyclist. 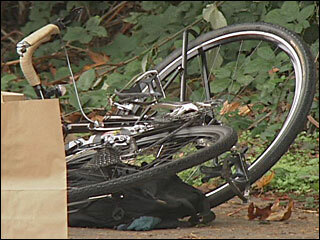 Police believe the car left the road and went up onto the sidewalk, striking a bicyclist. That bicyclist, Hart Godbold, is in serious condition at a local hospital. A second cyclist who was with Godbold at the time was not injured. Police say both cars then fled the scene. Police later found the car believed to have struck Godbold, but they did not find the driver. They have not found the other car allegedly involved in the incident. If you have any information about this case, you are asked to call Officer Michael Klews at 682-5154 ext. 1193. 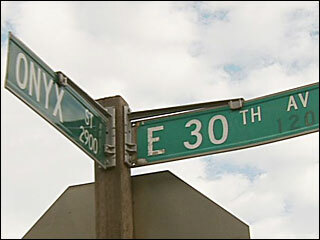 The investigation 30th Avenue closed in both directions overnight while police conducted a forensic investigation. Five days later KVAL reported that Joshua Clifton has been arrested. 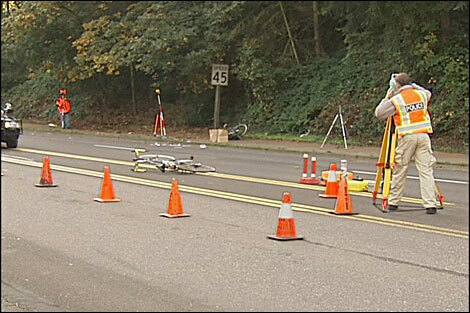 EUGENE, Ore. — Eugene police say they have made an arrest in the hit and run accident that left a bicyclist in the hospital. The accident happened in Eugene on 30th Avenue near Onyx Street. The bicyclist, Hart Godbold, has been released from the hospital. Police are still investigating and say there is the possibility a second driver was involved in the accident. They will not provide any more details. A Springfield man is fighting hit-and-run and other charges in connection with an Oct. 16, 2009, incident in which a driver allegedly sped away after striking and badly injuring a bicyclist riding on a sidewalk along Eugene’s East 30th Avenue. An attorney for 23-year-old Joshua Gene Clifton told a Lane County jury on Tuesday that his client didn’t realize he’d hit anyone when he drove away after running into the sidewalk at about 11:45 p.m. The crash left cyclist Hart Godbold, 26, unconscious with a head injury. Godbold, of Eugene, is recovering and attended the trial with his parents. Clifton is also charged with second-degree assault, reckless driving, initiating a false stolen car report and driving while his license was suspended because of an earlier drunken driving conviction. Prosecutor Joann Miller told jurors she would present evidence that Clifton and a buddy had been drinking rum before they left the friend’s house and began racing their vehicles downhill on 30th Avenue. Miller alleged that Clifton lost control of his westbound Mitsubishi Eclipse sports car after hitting a dip, flew broadside across the road and struck Godbold as he rode eastbound uphill on the sidewalk. She said blood and vehicle damage showed that the front of the sports car knocked Godbold off his bike, causing him to fly up and dent the roof of the Mitsubishi with his head. [The 911 calls] included a College Hill man who called about 2 a.m. to report that someone had parked a badly damaged car in front of his house. The man said he heard the car’s apparent driver talking on a cell phone about racing with a friend, striking a curb and trying to arrange a ride for himself and a tow truck for his car. Miller said Clifton later that night contacted police to report that his car had been stolen. A Lane County jury took less than an hour Thursday to reject a young Springfield man’s claim that he didn’t realize he’d struck a bicyclist when he sped away after crashing his sports car onto a sidewalk in the late evening of Oct. 16. The panel of six men and six women swiftly convicted Joshua Gene Clifton of all charges in the case: second-degree assault, hit and run, reckless driving, driving while suspended and filing a false report that his car had been stolen that night. Clifton, 23, was westbound and racing another driver when he lost control of his Mitsubishi Eclipse as it sped downhill on East 30th Avenue near Amazon Parkway in Eugene. According to trial testimony, he had been drinking rum before the incident and was driving with a suspended license because of a drunken-driving conviction in another state. Witnesses also testified that Clifton arranged to have his damaged car towed and then filed a false report that it had been stolen, in an apparent effort to deflect blame. A motorcyclist who witnessed the crash testified that he saw the Eclipse speed away from the scene, leaving Godbold unconscious and bleeding from a head injury. Godbold said he is “mostly recovered” and continues to improve, but is still healing from effects that have included memory loss. “It was interesting to me to attend the trial and learn about what happened that night, because I never knew before,” he said. One of Clifton’s convictions, felony second-degree assault, carries a mandatory minimum sentence of nearly six years in prison under Oregon’s Measure 11. A hit-and-run conviction in a case involving a seriously injured victim also is a felony, carrying a sentence of up to a year and eight months in prison. This incident is surely a tragedy on all sides. Clifton is only 23 years old, and is now facing around 8 years in jail. Luckily, Godbold survived and seems to be recovering, but this incident will likely stay with him for years as well. It is hard to imagine how Clifton, already previously arrested for DUI and with a suspended license, justified racing drunk down a hill in the dark. We can hope this incident will serve as a reminder to all people that their choices not only affect them, but everyone around them. Next Next post: SRTS Newsletter: Bike Summit, Classes, Kidical Mass, and More!